Ein amerikanischer Gitarrist aus Oakland (Kalifornien), spielt instrumentale Kompositionen für 6- und 12-saitige Gitarre. Impressionistische Musik, verwurzelt im Blues und beeinflusst durch Komponisten der Minimal Music (Terry Riley) und der europäischen Moderne wie Erik Satie oder Claude Debussy. „Chuck Johnson is a composer and musician residing in Oakland, CA. He approaches his work with an ear towards finding faults and instabilities that might reveal latent beauty, with a focus on American Primitive fingerstyle guitar, experimental electronics, and minimalist composition. Recordings of his work have been published by Strange Attractors Audio House, Communion, Tompkins Square, Merge and Three Lobed. 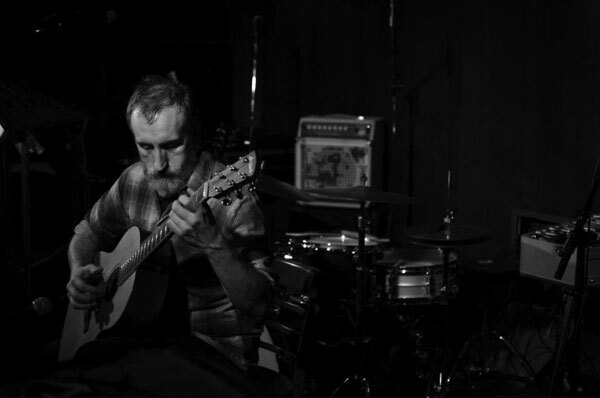 Johnson has performed with Eugene Chadbourne, Frank Gratkowsi, Peter Kowald, Miya Masaoka, and Pauline Oliveros, among others. He has performed at the Hopscotch Music Festival (Raleigh, NC), the San Francisco Electronic Music Festival, Siren Fest (New York), BENT (New York), the Festival of New American Music (Sacramento), Music for People and Thingamajigs (San Francisco), and the San Francisco International Film Festival. Johnson’s credits as a film composer include scores for several feature-length films, such as Brett Ingram’s award-winning Monster Road and Cynthia Hill’s Guestworker. In 2009 he received an MFA in Electronic Music and Intermedia Art from Mills College.